DePuy hip implant devices are one of several brands of metal-on-metal hip implants that have proved to be dangerous to patients. DePuy Orthopaedics, a subsidiary of Johnson & Johnson, is currently defending itself against a number of lawsuits from patients harmed by their defective hip replacement and hip implant products. Recently, Harris Martin reported that the company asked the court in one of those cases to prevent two experts from testifying. Our Boston DePuy injury attorneys know that DePuy lost a past case when an injured plaintiff was awarded $8.3 million in damages. The company is likely trying to prevent future large verdicts. The motion to the court to keep these two experts from testifying in the case is just another attempt to escape liability for the defective metal-on-metal devices. The case against DePuy Orthopaedics is a product liability case and the plaintiffs have the burden of showing that the metal-on-metal hip implant products were dangerous and failed to live up to the promises made by the manufacturer. The plaintiffs do not need to demonstrate that DePuy Orthopaedics was negligent in not producing a safer product since strict liability rules apply. Experts have testified in past cases that the problems with DePuy’s products were well-known before the medical devices even came onto the market. One of the two expert witnesses, a professor of biomedical engineering and surgery at McGill University, testified at a previous DePuy trial that the rate of adverse events associated with the metal-on-metal hip implants produced by DePuy should have caused alarm and raised “red flags” as far back as 2003. This was before the DePuy hip implants were even released on the market. The other expert criticized DePuy’s effect analysis and the company’s failure mode. DePuy is likely seeking to prevent these two expert witnesses from testifying because it believes that the evidence presented significantly damages the defense case. DePuy is trying to prevent the testimony from being presented during a multi-district litigation and submitted supporting briefs barring the testimony on June 14, 2013. The judge will now need to make a decision on whether these experts should be permitted to testify in the upcoming bellwether trial in September. If the judge permits the experts to testify, then it is likely that the information presented will once again be damaging to DePuy Orthopaedic’s case. 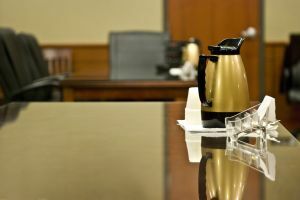 Both DePuy Orthopaedics and the plaintiffs who wish to present testimony from the experts will have a chance to make arguments to the judge about whether the testimony should be allowed. Determining what evidence is or is not admissible in a case against a drug manufacturer can be a complex and technical process. Responding to actions such as this one is just one of the many tasks that attorneys will do to help victims of defective metal-on-metal hip implants to get the justice they deserve. If you or a loved one is experiencing metal-on-metal hip implant complications in Massachusetts, call the Law Offices of Jeffrey S. Glassman for a free and confidential appointment — 1-888-367-2900.